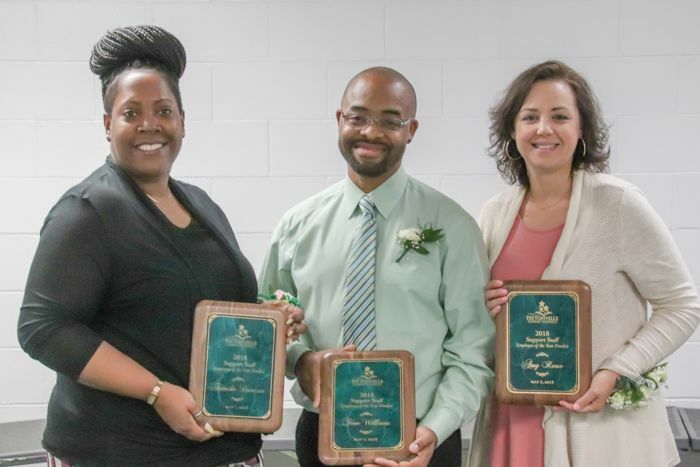 Congratulations to Amy Schwendemann, science teacher at Pattonville High School, on being named Pattonville Teacher of the Year, and Tron Williams, custodian at the Pattonville Learning Center, on being named Pattonville Support Staff of the Year. Both were surprised with the news during District Appreciation Night on May 7. Find out more about Teacher and Support Staff of the Year honorees. During Schwendemann’s 16 years as a teacher, her approach has gone from a teacher-driven classroom to a more holistic style. She has made it a priority to step out of her comfort zone to learn and implement new teaching styles. To do so, Schwendemann has flipped her classroom and is integrating more project-based learning activities into her classes. This year, Schwendemann created the Applied Science and Technology class. Students researched, designed, presented to administrators for approval and implemented the building of a greenhouse and garden at Pattonville High School where they not only learn science but practice 21st century skills. In another class, she incorporated resume writing and an interview process to a group project to simulate skills needed throughout life. Schwendemann has served as the sponsor for the National Honor Society (NHS) for 10 years. 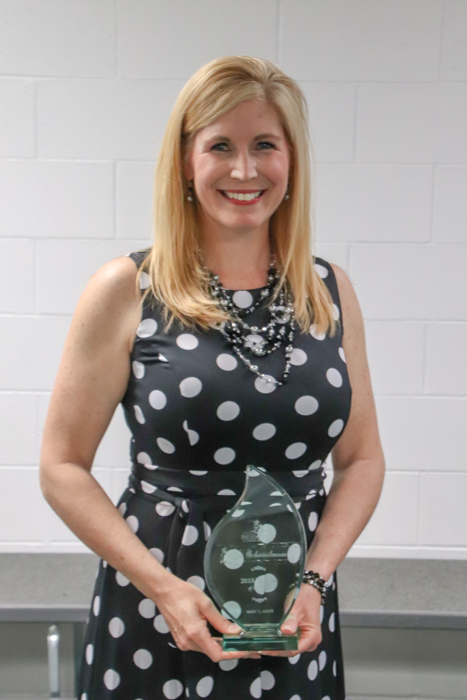 She leads professional development, participating in Pattonville’s PIRATE Rally this year, as well as the Innovation High School Advisory Board Meeting, Ed Camp Conference, Raspberry Pi Workshop, Learning Space Design Workshop at IKEA, the Design Challenge and more. She has a master’s degree in secondary education from Lindenwood University, certificate in secondary education from Southern Illinois University and a bachelor’s degree in sports medicine from the University of Evansville in Indiana. Williams is the guy at the Pattonville Learning Center that anyone can count on to get things done. And done with a smile. Williams is more than a custodian who comes in and goes through the paces; he gets things done quickly and accurately, volunteers in other areas and finds ways to make Pattonville a better place to work and visit.